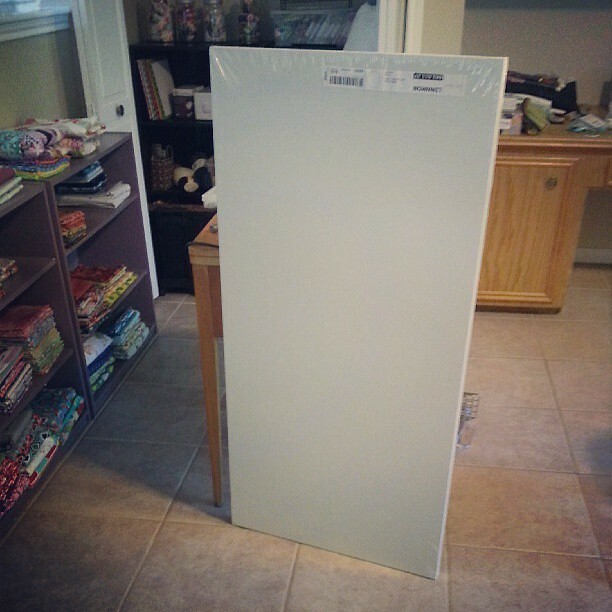 When we moved, I decided it was time to finally make a good-sized pressing board, since my new sewing area has the space for it. 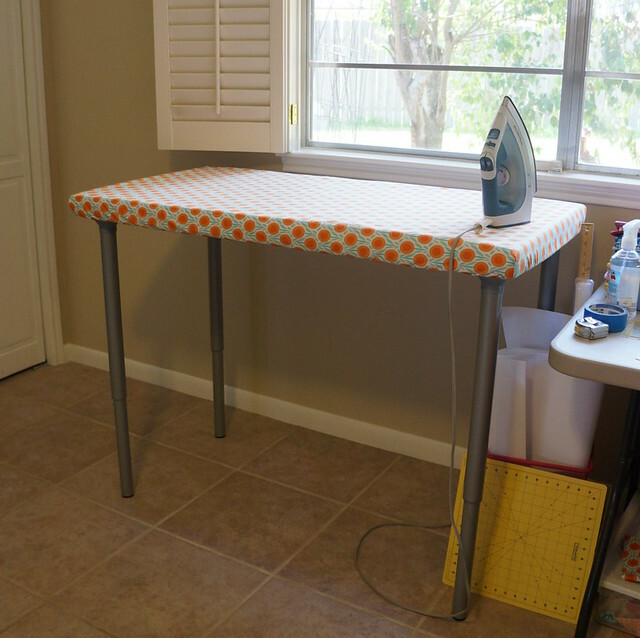 I followed Elizabeth Hartman's tutorial here, and bought the board and legs from Ikea. Surprisingly enough, the legs were the most expensive part by far. I used a Cloud 9 print from Joann's for the removable cover. To no one's surprise, I'm in love with this pressing table! The size makes such a difference when it comes to pressing large pieces of fabric or quilt tops, plus I just like to be able to spread out. I highly recommend making one of these if you can! I've been doing a little bit of sewing lately. I couldn't help but jump on the Marcelle Medallion bandwagon that's been going on over on Instagram. Here's my center star - I love how it turned out! 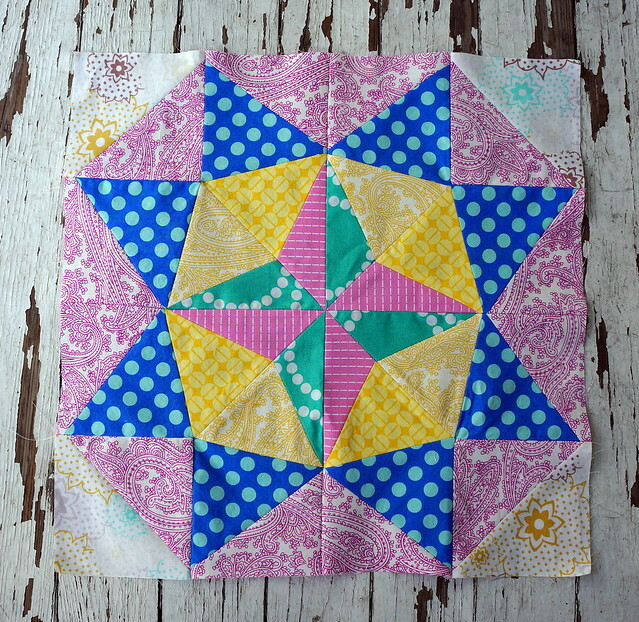 I picked super fun, bright colors for this quilt. It's going to be fun to slowly add borders to this and see it grow. I also put together my April do. 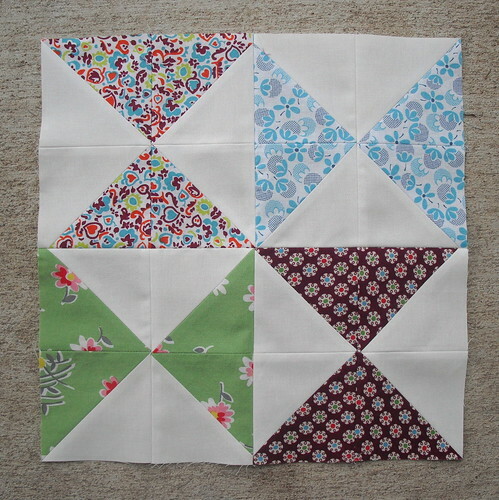 Good Stitches blocks. 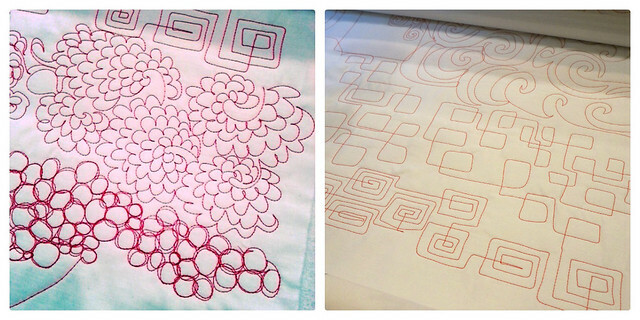 They're paper-pieced (pattern here), and it's amazing how such a simple pattern has such a strong statement. I'm tempted to make my own quilt out of this pattern! I forgot to show you all the gathered clutch I made for QuiltCon! 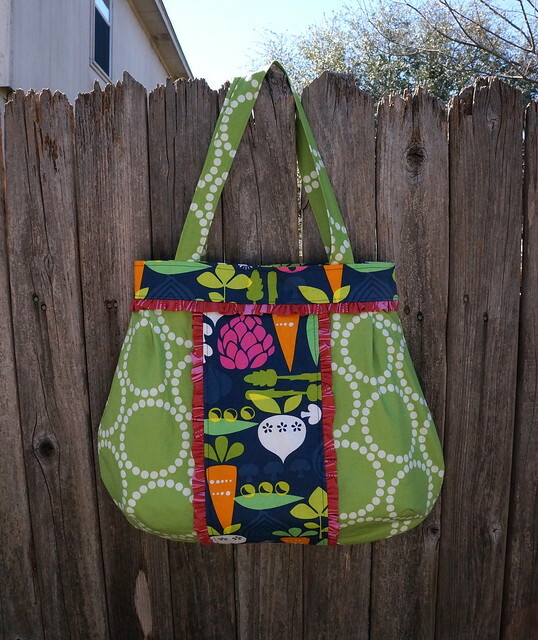 I used leftover scraps from my Multi-Tasker Tote and my Corabelle purse for the outside, and a Denyse Schmidt print for the inside. Oh, and a zipper from ZipIt - I love that shop! The orange inside is pretty fun and unexpected. The pattern is Noodlehead's Gathered Clutch, which I made a little bigger to fit my fabric scissors and other sewing tools. 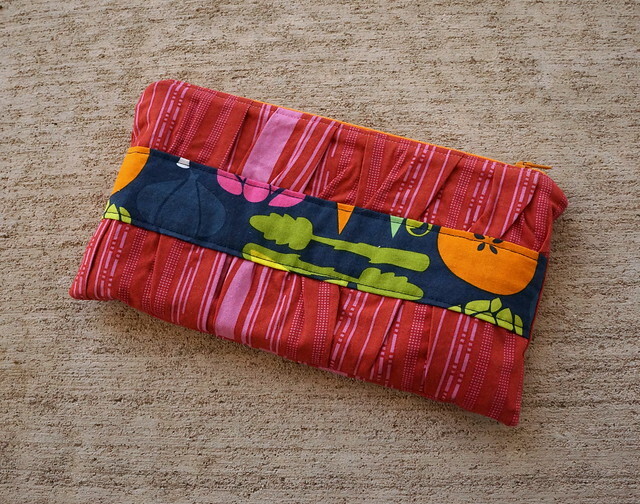 I definitely recommend the pattern - I really love this clutch! 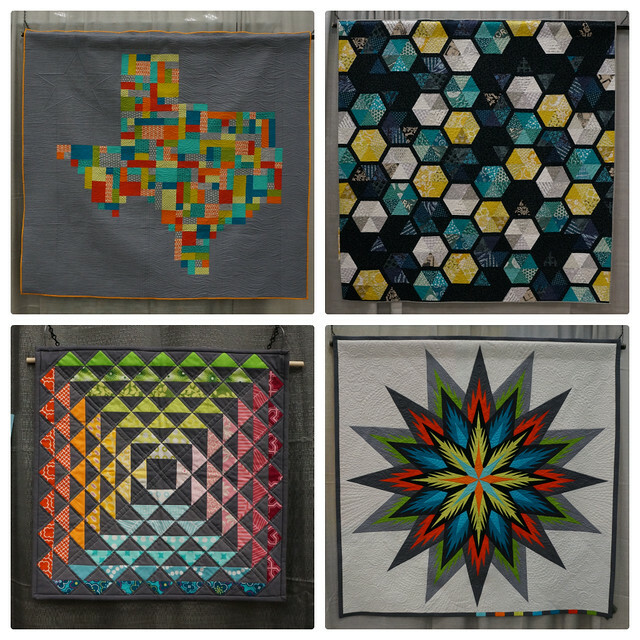 QuiltCon was pretty amazing. I participated mostly in workshops, along with a few trips through the market and the gorgeous quilts that were shown. Here are just a few of my favorite quilts that were on display. After looking through my pictures, I definitely loved the brighter and more traditional quilts that were shown best. And there were so many of them! 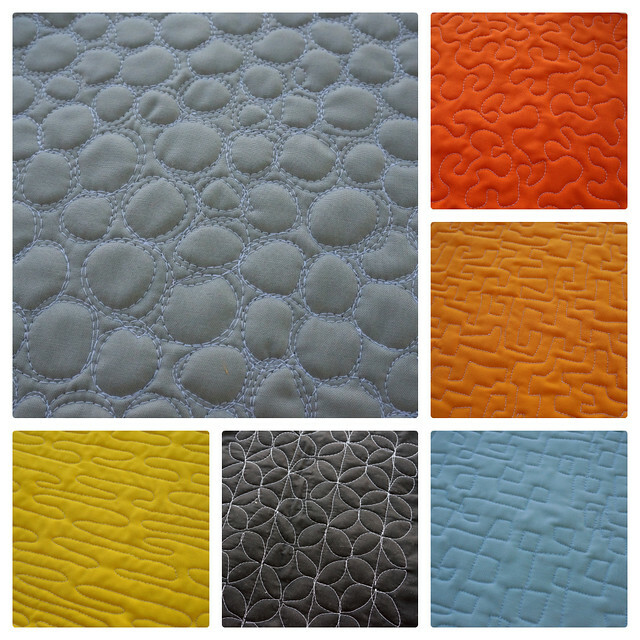 I also took a lot of pictures of solid quilts, which surprised me. 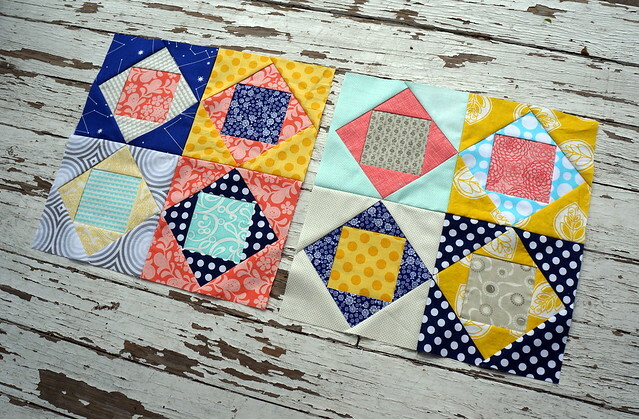 I guess I need to make more quilts out of solids! The rest of my photo set can be found here. 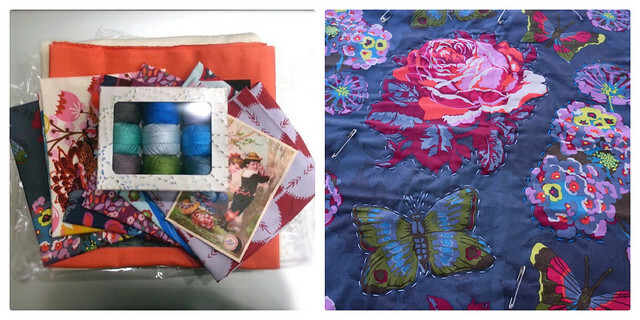 The first workshop I attended was Every Last Stitch with Anna Maria Horner. I've done cross-stitch and embroidery before, but never hand quilting, so this was a first for me. Anna Maria was adorable, and it was nice to be able to see how she stitches in person. Plus, our supply fee got us some awesome goodies! I enjoyed the hand quilting and will definitely be doing more in the future. 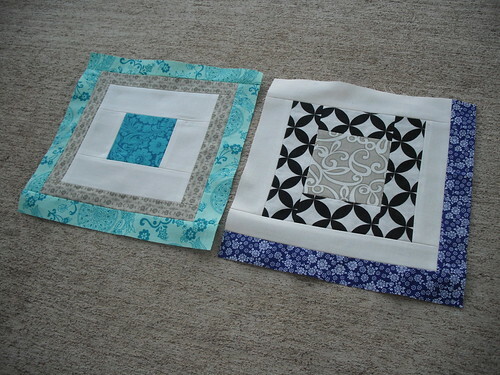 The second workshop I took was Free-Motion Quilting on a Home Machine with Elizabeth Hartman. This was an all-day class where we got to play on some fun Janome machines and practice our free-motion quilting. We went through a bunch of different all-over patterns, some of which I had tried before, and some of which I had not. I'm so glad I took this course - Elizabeth was awesome and a great teacher, and now I'm very comfortable with many more patterns than I was previously. I think now I can attack my huge stack of quilt tops waiting to be quilted. 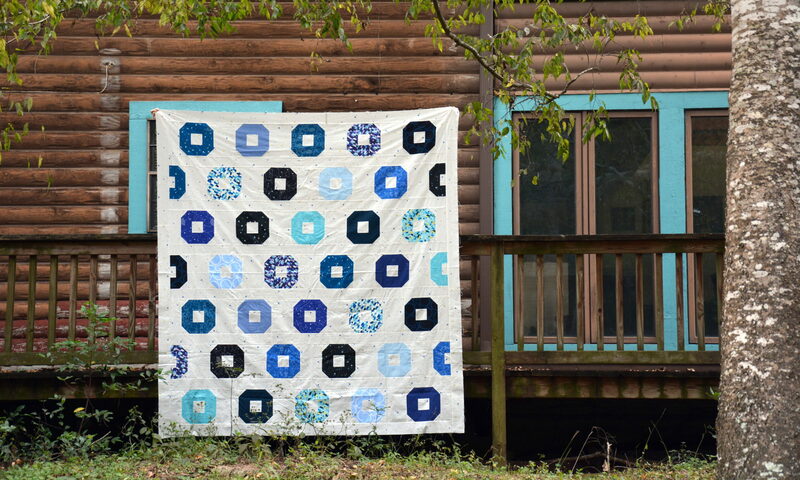 The last workshop I took was Machine Quilting for the Modern Quilt with Angela Walters. In this class we got to play with long-arm quilting machines, and we practiced a ton of different patterns and learned how to use them on quilts. This class was a bit harder for me - long-arm quilting is so different than home machine quilting, and I couldn't really get into a good flow. What you see above is the small amount that I felt comfortable with; the rest was a bit of a mess, which just means I need more practice! Time for some more finishes for QuiltCon. You guys, I'm so excited about this one! It has RUFFLES! My current purse is a bit old and worn, and I've been ready for a new one for a while now. (I can't believe it was two years old!) I'm not picky about too many things, but apparently I am picky about purses, because it took me hours to find a pattern that I really loved. I went with the Corabelle Pattern by artsy-crafty babe (and actually bought multiple patterns because they're on sale and I liked so many of them). 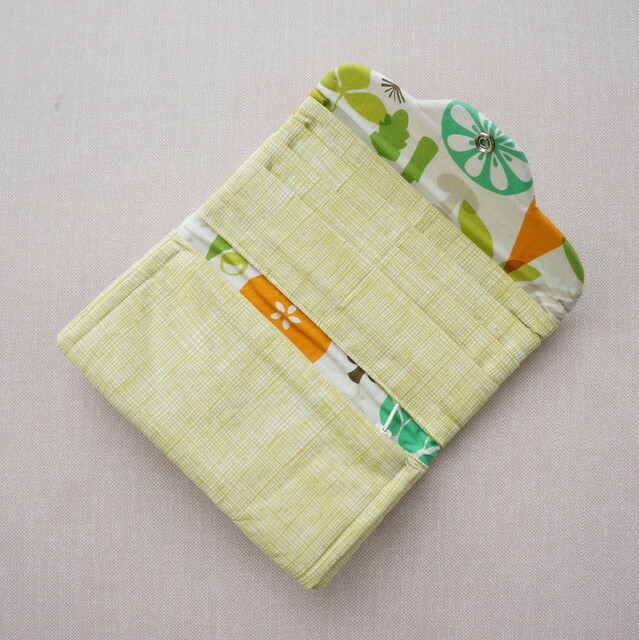 I used the rest of my Kitchy Kitchen veggie print with some green Pearl Bracelets (lime, I think), some AMH Innocent Crush pink stripe (Mixed Signals in Summer), and a solid linen for the lining. And seriously, the ruffles make my day! The pattern was very well-written and easy to follow. The modifications I made were to add the ruffles and to leave out the tab on the top of the purse. I'm excited to make some of the other patterns I bought from her as well. Next up on my list was a needle book. 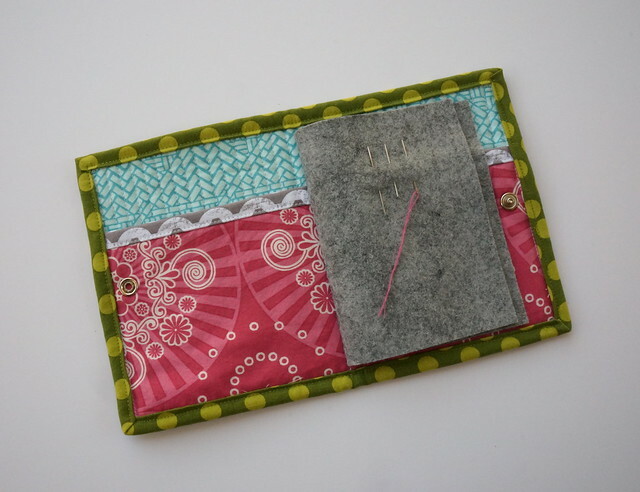 I'm taking a hand-stitching workshop, so I know I'm going to need a place to put my needles when they're not in use! 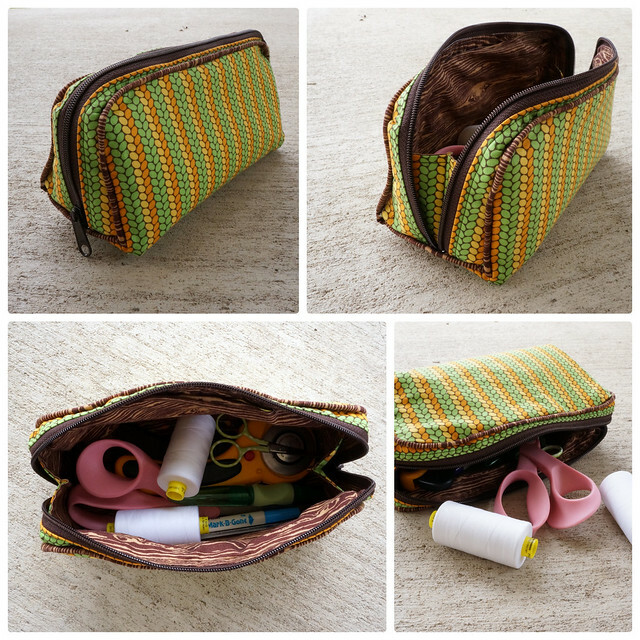 I used the quilted needle case tutorial by Sew She Sews, and it was really fun and easy to make. I'm not sure what this cute sewing pattern outer fabric is; I bought a fat quarter of it from a local quilt shop. 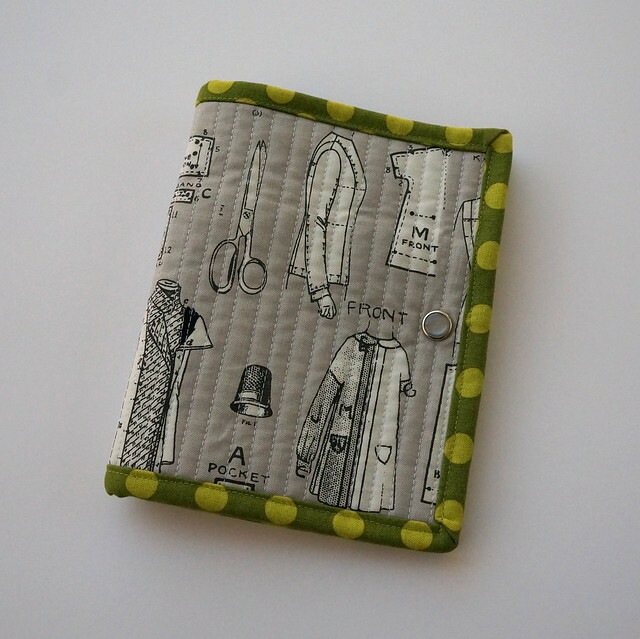 For those interested, for the inside I used some pink Happy Mochi Yum Yum, a blue print from Central Park, grey wool felt from Joann's, a Ty Pennington print for the pocket binding, and a Michael Miller Ta Dot scrap I had for the main binding. Seriously cute, right? I love it! Here's the outer fabric spread out. 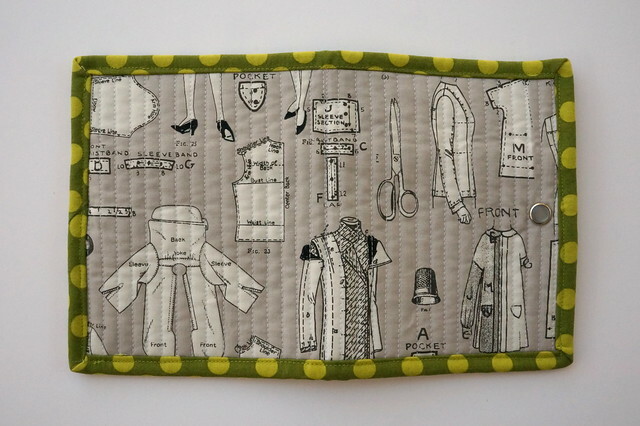 I love the scissors and thimble. 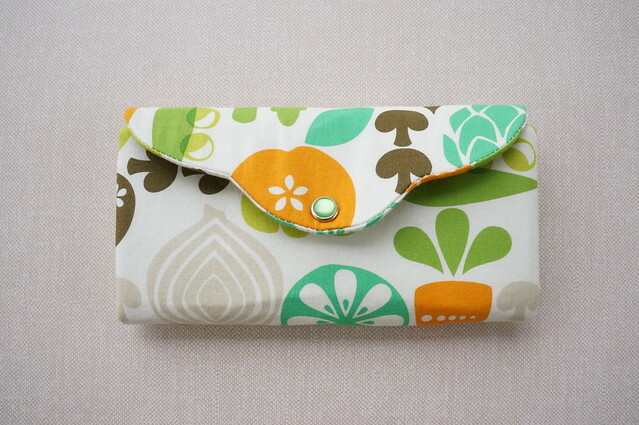 Sewing fabric for a needle case - perfect. And the snap is from Cowgirl Snaps - I love that shop! I'm making some progress on my QuiltCon to-do list! Next up on my list was a wallet. 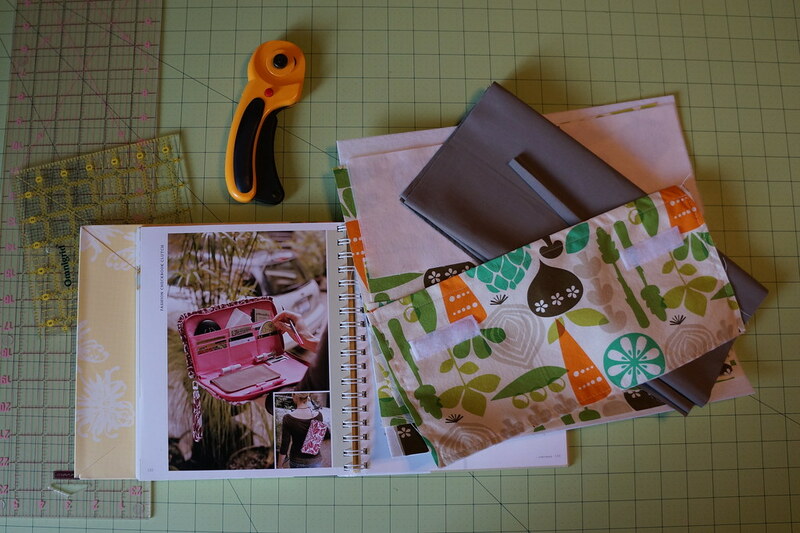 I started with an Amy Butler checkbook clutch, but that didn't end up working so well. I decided to jump ship and start over with a new pattern. I followed hey porkchop's lead this time and made a Have It All Wallet. It definitely was as easy as she said, and it came together quite quickly. The only real difficulty I had was in putting the snap on at the end. 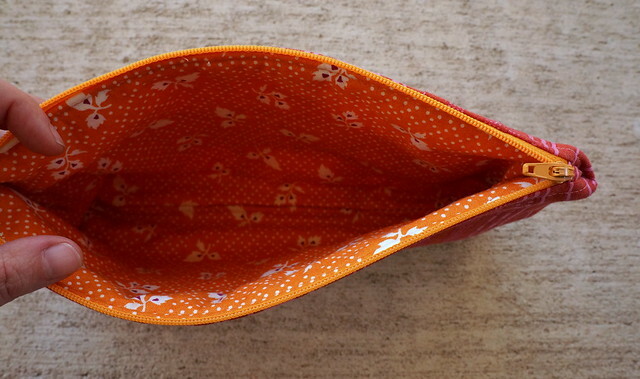 The top of the snap wasn't hard, but the bottom half was only supposed to be attached to the outer fabric, which started to stretch out my fabric in that area when I unsnapped the wallet a few times. I ended up stitching that part of the snap down to the interfacing. Next time, I'll attach the snap ahead of time, to more than one layer, and probably add extra interfacing to that area as well. 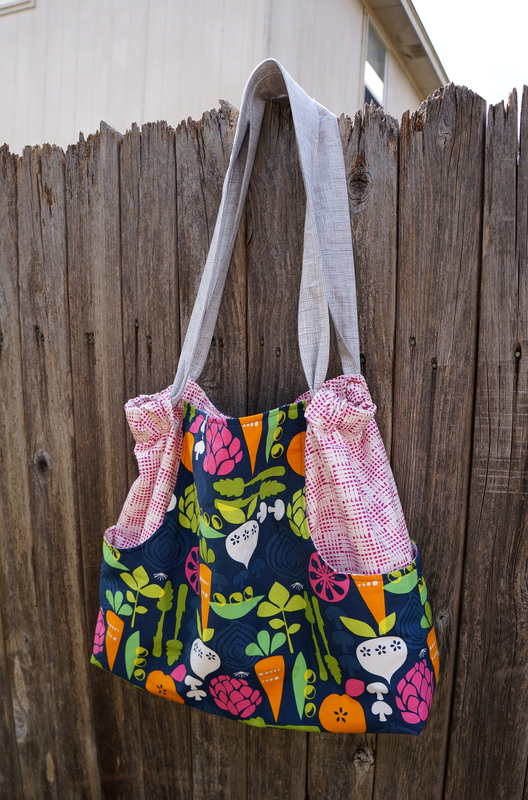 I knew I needed something to carry my tools around for QuiltCon, so I picked out this boxy bag pattern to do the trick. I especially liked that it opens all the way up, which is good for being able to dig around in; it's also very roomy! I think the gussets are my favorite part. So fancy! Haha! 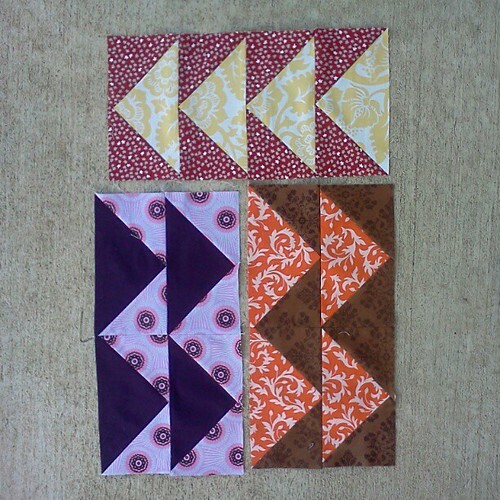 Here's my August Block for the HST Block of the Month at In Color Order. I'm always a fan of hourglasses! 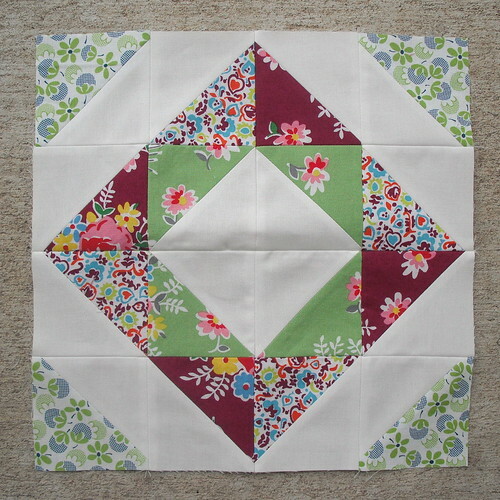 Here's my July block for the HST Block of the Month at In Color Order. I think this is my favorite so far!